This is one of those cars you spend a while staring at when you visit the local cruise night. It doesn’t catch your eye because of big, shiny rims or a polished blower poking out of the hood. But to anyone with an interest in real factory muscle, this little Nova really stands out from the pack. 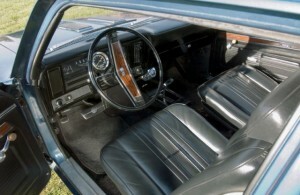 “The L78 was released in 1965 for the Corvette and full size cars. It was originally listed as making 425 hp at 6400 rpm in 1965. Then the L72 came along and that made 425hp at 5600 rpm. So the L78 was dyno’d and became a 375hp motor at 5600 rpm. 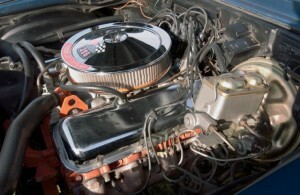 Because of insurance concerns and marketing issues, General Motors Corporate policy resulted in the advertising of the lower RPM rating resulting in the decrease from 425 HP to 375 HP as a running change for all models except corvette. 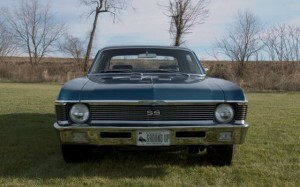 The L-78 was released for sale in the 1966 SS-396 Chevelle in March 1966 with a rating of 375 HP due to this lower RPM rating and somewhat more restrictive exhaust manifolds; it was otherwise identical to the 425 HP ’65 Corvettes. 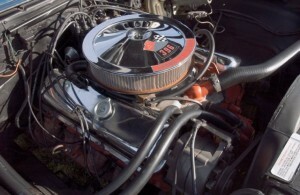 This arrangement gave Chevy two distinct levels of hp they could offer the public. Now that’s muscle (and right from the factory)! 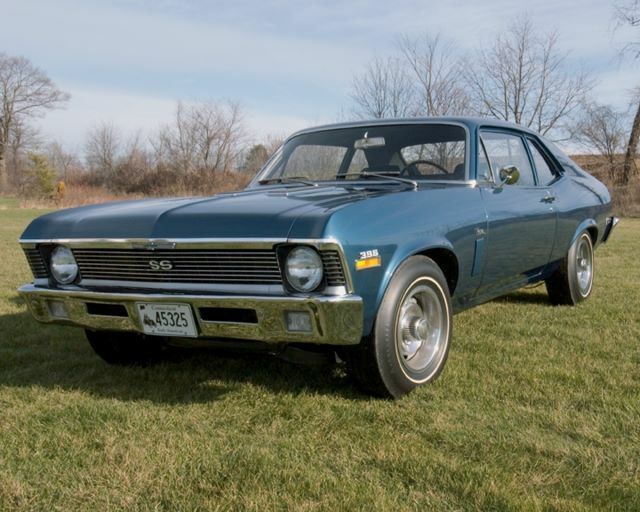 Only 3,765 1970 Nova SS L78’s were produced and a mere 800 automatic rolled off the assembly line making this a true collector car. Dean’s car was built on September 12, 1969 (a very early 1970 model) at the Willow Run Factory. It wears a fathom blue paint scheme and a black interior with bucket seats, console, and an am/fm radio. 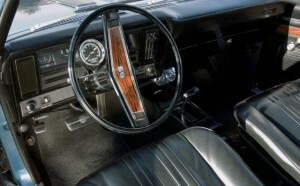 It still bears its original L78 engine, TH400 transmission, and 3.55 Eaton Posi rear. 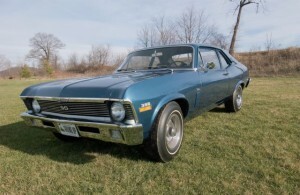 Apart from one repaint, this Nova is completely un-restored with barely 68,000 miles on the odometer.